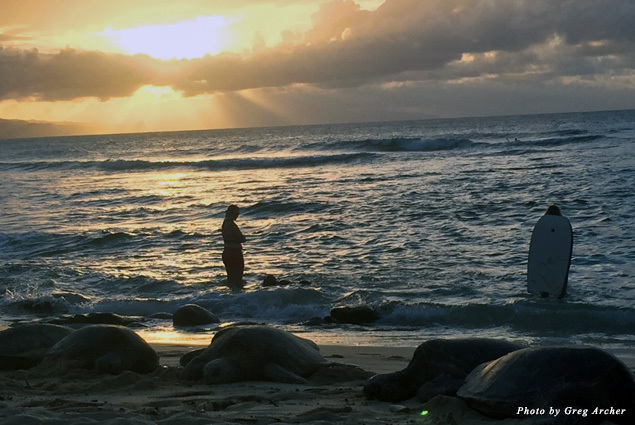 If there is one thing to understand about Maui it is this: She just loves to surprise her visitors. 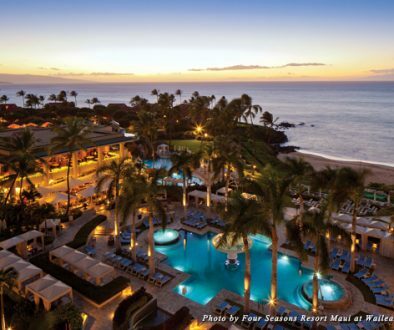 Yes, there is plenty of eye candy here—the beaches, the Road to Hana, Haleakala Crater, the old historic towns—but inevitably, the force of nature that is Maui will lead people toward new experiences—such as the Lumeria Maui. I discovered this resplendent resort/retreat by accident on a drive toward Upcountry from the town of Paia. A large, stunning, vibrant rose-quartz crystal boldly protruded up from one of the walkways as I browsed the property, whose lush palms and gorgeous landscape suggested I had just walked into paradise. In fact, I had. There were several other ornate, beautiful crystals along the property, and when I came across Lumeria’s vast centrally located lawn the scene was reminiscent of a movie set—striking, refurbished plantation-type housing, lush gardens, and a significant statue of a Buddha on its outer, central edge. Truth is, Lumeria Maui had me at that Buddha statue, which just emanated peace and bliss, but upon further exploration I discovered much more about the place—a sparkling pool, a yoga landing behind Buddha, a grove of whispering pines complete with hammocks overlooking stunning ocean views, and a large labyrinth made out of lava rocks from the island. 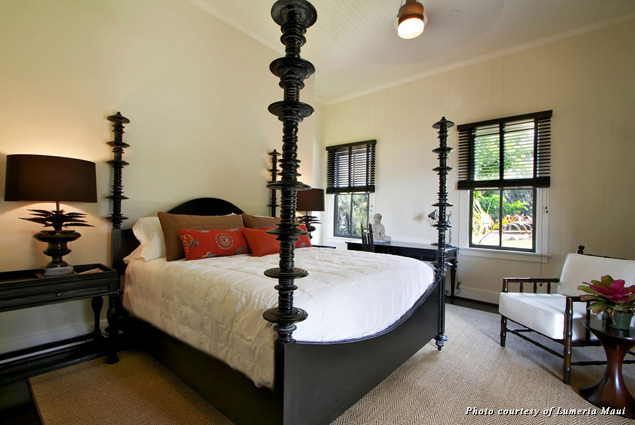 Built in 1910, Lumeria Maui was designed by a renowned Honolulu architect H.R. Kerr. It was the original Fred C. Baldwin Memorial Home. The Baldwin family may ring a bell to some, as they are sugar cane titans. In addition to plantation housing for retired workers, the property and its buildings were also used for military housing during World War II, dormitory housing for a women’s college in the 1950s and 1960s, and as a dorm for pineapple workers. 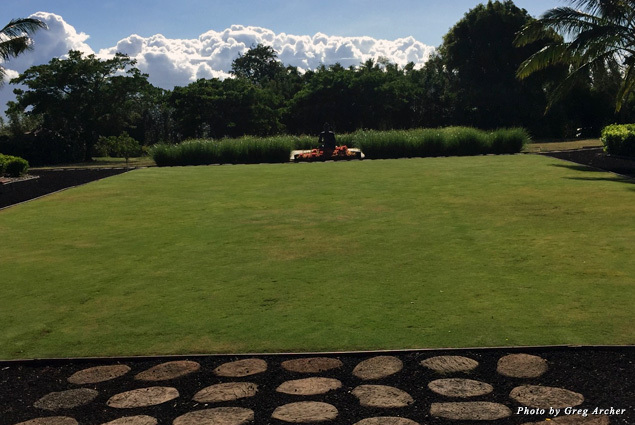 Renowned designer and bestselling author of “SoulSpace: Transform Your Home, Transform Your Life,” Xorin Balbes eventually took notice of the property and worked some of his own magic here on the grounds. Several years ago, Balbes conducted a process of cleansing and honoring the indigenous trees and plants on the land. Ceremonies were launched in honor of the land’s ancestors, and Balbes even went as far as consulting local Kahunas about where to place crystals, various trees, and native plants on the property—eight crystals were actually buried in a grid underground whilst the construction was underway several years ago. The crystals were placed with the help and guidance of Kahunas with one central mission: to continuously clear the energy of the land and anchor the healing and loving energetically of the crystals in and on the property. All good. Balbes nabbed a 2012 Preservation Award from the Hawaii Historic Foundation. Today the property, which underwent a vibrant new ownership last year, is listed in the National Registry of Historic Places and is one of the largest historic renovations on the island. I took note of several of the accommodations: king-size guest rooms, many of which have either ocean, mountain, island, or tropical garden views, or a combination of all of them; Mahina and I’iwi Suites, which have adjacent living rooms; and spacious two-bed guest rooms. All of these boast indelible Indonesian design themes with creative touches—Japanese-designed bathrooms and Italian linens for instance. Outside of each room is a spacious porch (or lanai) with comfortable lounges and chairs. 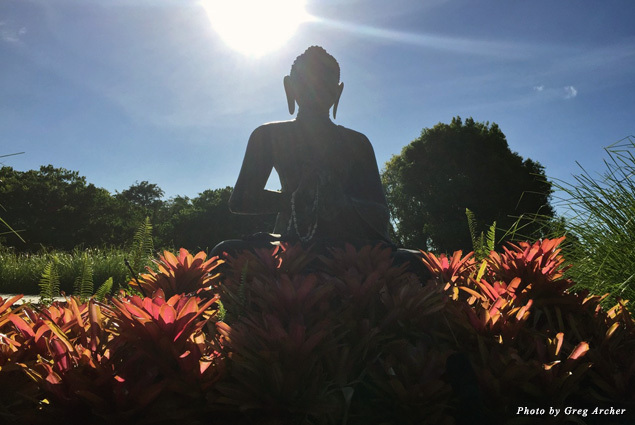 Retreats of many varieties are offered here: yoga, couples retreats, meditation, spiritual weekends, and even a sports retreat. Guest speakers, horticulture programs, yoga, and aromatherapy classes are among some of the many other offerings. Full moon yoga with an enriching garden-to-crate dinner afterward? You bet. In fact, those garden-to-crate dinners, under the brilliant culinary genius of chef Ben Diamond, stand out considerably here. Wellness therapies are plentiful at Lumeria Maui. When I noticed that among the hotel’s numerous spa treatments there was something dubbed a Chocolate Indulgence massage, I immediately signed up for it. A chocolate massage? Please. Get me on that table and apply the chocolate. It was heavenly. The ingredients: Organic cold-pressed coconut oil infused with Cacao Absolute. That’s the base for the massage. For the aromatherapy, Jenny chooses scents for for each unique client—Hawaiian floral aromas of hibiscus, Pikake, Maui rose, and tuberose from Aloha Therapy on the Big Island. She also uses DoTerra essential oils (lavender and wild orange). The chocolate body polish is from ZenZiva and is also made of all local organic Hawaiian ingredients. Good news: The treatment included a take-home ZenZiva chocolate body scrub and an organic raw chocolate treat made by a local. You do not necessarily need to stay at Lumeria Maui to enjoy its spa treatments, which include facials, acupuncture, and colon hydrotherapy. In fact, the property owners are encouraging locals to experience Lumeria, and various locally based programs—such as the full moon yoga—have attracted island residents. There’s a nice push here to include the community. Either way, I recommend any kind of body therapy treatment first, followed by one of the property’s other unique offerings. I noticed “The Way of the Shaman” was a guided meditation of sorts by a reputable shaman. “Soul Journeys” offers another one-on-one treatment with the intent of illumination—uncovering blocks, gaining clarity. I chose “The Crystal Healing & Mystic Reading” with Ev, who was profoundly gifted and on target. Trust your gut and choose accordingly. And be sure to also consider some of the following nearby points of attractions including the towns of Makawao (head to Casanova’s) and Paia (stellar fresh gelato). 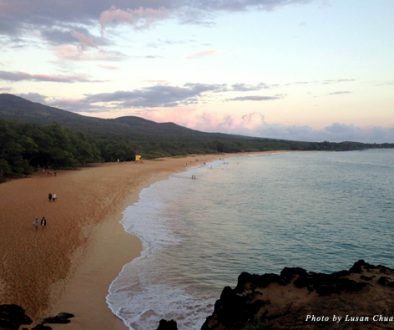 Ho’okipa Beach Park is renowned for windsurfing and its sea turtles at sunset—go! And there is always Haleakala Crater—at sunrise, in particular. There’s much more to share about this luminous vortex, however I am struck by something: In an era where we all need to decompress much more than we ever needed to and, perhaps, re-imagine the direction of our lives, Lumeria Maui stands out for being downright unforgettable and soul-stirring. 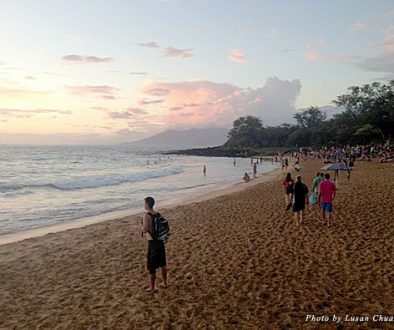 It is one of Maui’s most vibrant portals.